Aloe + tea tree. Skincare. Sensitive skin tested. Makes a great face or beard wash too! 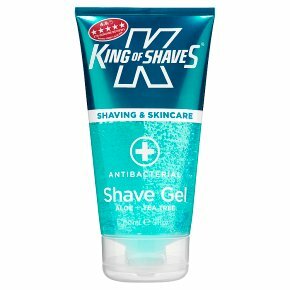 A better gel for a better shave! Our Aloe based antibacterial gel is designed to give you a close, comfortable and enjoyable shave every day, just once a week or simply to line in your beard. See where you are shaving with our low foam formula. More comfort, less irritation - lubricates and protects whilst softening the bristles.